The new site is in Northeast Portland, the campus of the University of Western States, which specializes in chiropractic care. That university will be moving. Linfield College is based in McMinnville, but for 35 years it's run a major part of its nursing program out of the space it leases at the Legacy Good Samaritan in Northwest Portland. With that lease expiring in 2020, and with nearly half of Linfield's graduates earning nursing degrees, the small private college had to find a new home. 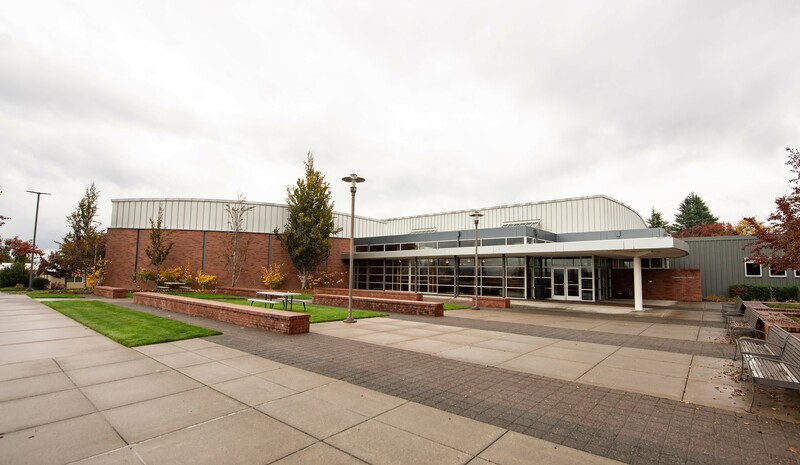 Meantime, on the other side of Portland, the University of Western States has been looking for a buyer for its campus in outer Northeast Portland since at least last May, when it listed the property for $14.2 million. Linfield College announced Monday it bought the UWS campus for more than that: $14.5 million. "Was it a competitive process? Indeed it was a competitive process," said Linfield president Miles K. Davis. The purchase comes as increasing competition and rising costs have forced other private colleges in Oregon to merge or close. For leaders at Linfield, the imminent ending of the nursing program's lease and having to wade into tight Portland real estate market meant taking a critical look at Linfield in the context of higher education and private colleges. “You have to make changes while you can make changes," said Davis. "When you’re at the end of your rope, it’s often too late." Davis said higher education leaders are sometimes reluctant to look at the academy as a business. But Davis said Linfield had to look at the future in terms of investments and market share in the difficult higher education environment. "At the same time that we’re making a move to acquire this property, we’re trying to make sure that our programs are relevant to a changing and adaptive market,” Davis said. Davis added having a permanent home in Portland could help Linfield promote programs to prospective students and families in Oregon's largest city. "Having ... our own campus allows us to position ourselves in Portland in a more prominent way so that people know that we're here, they have opportunity to visit our campus," said Davis, also suggesting that Linfield will be better able to improve relationships with area community colleges. The $14.5 million sale is part of the University of Western States' plans going forward, as well. The small, health care-focused college released a statement, saying it's "in the final stages of securing our new location." "At this time, we can confirm that the university will stay in Northeast Portland and the new site will exceed our goals for a new location offering: 150,000 square feet of ample space to create versatile and active, hands-on learning classrooms, and access to public transportation and better clinic facilities for our patients," continued UWS officials. UWS said it will take up to 18 months to move into its new space, meaning it will vacate around the time Linfield's nursing program needs to move in.